Private Site Locations are available upon request. 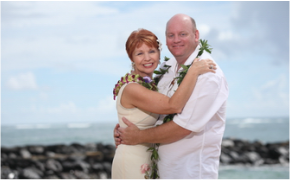 Additional amenities may be added to the Vow Renewal Package. Hawaii State Tax will be added. Non Refundable 150.00 Deposit due to confirm your Vow Renewal Package.